The 1/2 yd. 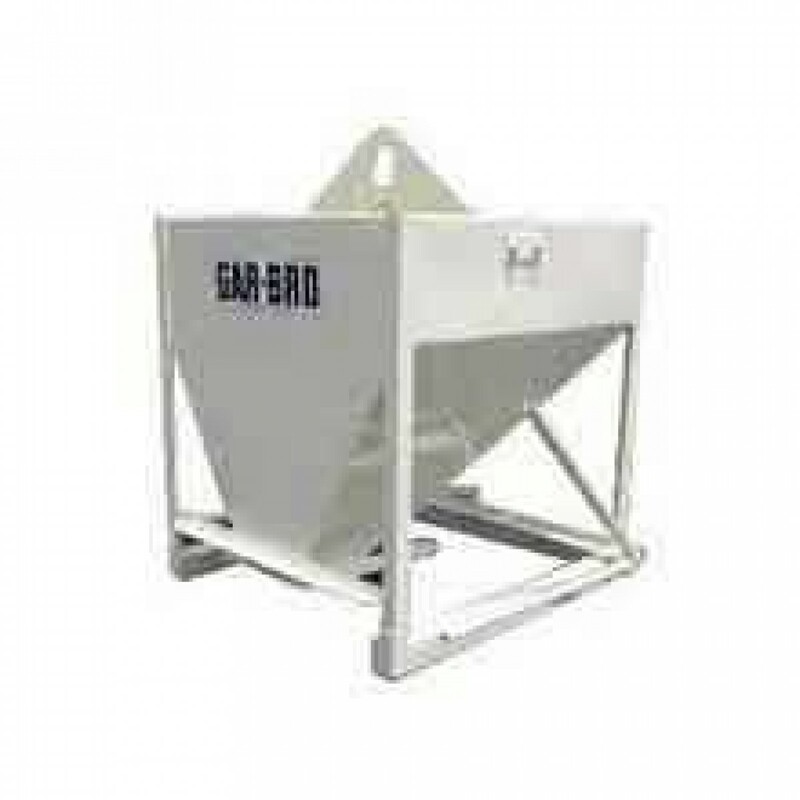 Bond Beam Steel Concrete Bucket 4814 by Gar-Bro is a specialized concrete pouring bucket with a rated capacity of 1/2 cu. yards for small to large batches of concrete. The Gar-Bro Manufacturing 4814 1/2 yd. Bond Beam Concrete Bucket features high grade steel construction and components for years of reliable use. Developed to pour columns, walls and difficult to access areas. Rated Capacity: 1/2 cu. yds. Level Capacity: 14-1/10 cu. ft. Discharge Gate Size: 8" x 8". Specialized design which will accommodate a number of pouring attachments for challenging concrete projects. Several other Bond Beam Series buckets are available as well as attachments.